Being connected can mean many things to many people. Maybe it’s about finding the right person to get a great deal on a vehicle purchase or getting seats eight rows behind the dugout at a baseball game. The expression has a special significance to those in the HTM field, who are ever more involved in connected networks and data or connecting through social media or through conferences with peers. Being connected requires a special skill-set in either case. For several years now, the evolution in biomed has made it more important to gain networking knowledge as medical devices become more connected and data requires sharing and protection. Through special training, certifications and additional degrees, many HTM professionals are adding specialized credentials to their resumes. On the human connection side, social media has made networking with disparate and geographically diverse groups of people possible. Websites like LinkedIn bring together employers, peers and collaborators. The site provides job search capabilities and the ability to connect with hundreds of others who are affiliated through profession or organizations. Conferences and trade shows also offer the ability to rub shoulders with hiring managers and counterparts from other organizations. Annual or semi-annual conferences and expos like MD Expo, AAMI annual conference or ASHE Annual Conference and Technical Exhibition, offer excellent networking opportunities for HTM professionals. The next MD Expo is set for Houston, Texas this April. Details about the conference, including educational offerings and registration, are available at MDExpoShow.com. The 2018 AAMI conference, in Long Beach, California included 2,500 attendees from across the U.S. and other countries. It also included a number of education sessions. The Expo portion included a number of exhibitors (nearly 200) and training opportunities. AAMI’s 2019 conference will be held in June in Cleveland, Ohio. As a matter of fact, the conference and expo provide interactions between so many different stakeholders, that AAMI rebranded the show from the AAMI Conference and Expo to the AAMI Exchange. That will be the new name beginning in 2019. “MD Expo strives to provide healthcare technology management professionals with a unique, intimate and rewarding conference second to none” is how the Expo’s website describes the event. The website goes on to describe the event as an opportunity to network. Building a trusted group of colleagues/peers is the goal. Networking is key to sharing ideas and newfound knowledge. Bringing employers, HTM professionals, trainers and keynote speakers together allows for interactions that benefit all involved. An industry conference or trade show is the perfect opportunity to engage in networking. Sharing experiences, knowledge and training are all a big part of the experience of gathering together as a community within HTM. The opportunity to gather together comes through local and national events. It may be one of the most fruitful means to network with many useful “takeaways” resulting from the experience. The only frustration for many biomeds is the tight budget environment many face. “I think that conferences like MD Expo and AAMI [conferences] provide a great opportunity for HTM leaders to meet each other and collaborate. However, at some facilities, it may be difficult for the HTM manger to justify the travel expense to administration, and if it is approved, he/she may be the only person from the department who can attend,” says Ryan Harris, CBET, director of Healthcare Technology Management at Texoma Medical Center in Denison, Texas. “I also believe that attending MD Expo and AAMI conferences have been huge benefits to my career. At these events you tend to participate in the classes and seminars that pertain to your most current situation, dilemma or interest. And, as a result, you are surrounded with likeminded people that can open your eyes to a different vantage point that may or may not have been open to you,” says Courtney Haschke, biomed supervisor at BSA Health System in Amarillo, Texas. Haschke goes on to say that some of the best and most helpful moments are the open forums at the end of the classes, when all the engineers stay for a while to compare notes and experiences. “Those informal moments have lead me to some great problem solving within my hospital. I was fortunate to be able to attend the MD Expo Nashville 2018 and I met some fantastic mentors in the leadership classes that I attended. Speaking with those women gave me the confidence to deal with my struggles as a new and young leader,” she says. Haschke says that even if you are the type of person to sit and listen, rather than speak and be active in a discussion, conferences are a wonderful and amazing tool for networking. “Sitting through and absorbing what others have gone on to learn before you can have a major impact on your career,” Haschke adds. While the conferences and expos happen once or twice a year, a more local form of networking occurs monthly or quarterly during the meetings of HTM associations and societies. “One method of networking that all levels of the HTM community can participate in at a low cost is the local HTM association. If there is a local group around, then you should try to attend the meetings whenever you can. These meetings provide an opportunity to share local job openings, meet new people and collaborate with other HTM groups near you that may be facing similar struggles,” Harris says. AAMI lists 59 of these associations and societies across the U.S. and several more international groups. Most offer many opportunities to network, with regularly scheduled meetings and events throughout the year. Many also have an annual conference or symposium, with manufacturers’ representatives and others available. Training and continuing education credits are also a feature of these events. “I was lucky enough to become part of the Clinical Engineering Association of Illinois (CEAI) in the early years of the association. We have had some great leadership that did some really innovative things to encourage networking,” says Christopher Bryant, an imaging specialist for the Lovell Federal Health Care Center in Chicago. “By including professors from the local college that had a biomed program, we were able to use their spaces for chapter meetings and had an open door invitation to any students that wanted to participate,” Bryant says. He adds that they have always promoted the relationships with the HTM community and the vendors who support and work with them. “One memorable chapter meeting was held at Dunlee where the president of the CEAI did something I’ll never forget. While at lunch, he asked all of the managers, with an open position they were looking to fill, to raise their hands. And then he asked all the BMET students, or those looking for a position, to raise their hands. Then, he told them to start networking,” Bryant says. Bryant says that something that was as simple as that made use of an impromptu situation to produce real results that a job fair might not have even achieved. “So, the lesson learned was to always be on the look out to take advantage of a situation where we can bring people together. I have been with the CEAI leadership team, putting on conferences for about 10 years now, and it’s great to see members come back who started out at the association as students and who are now being able to reach out to the next batch for work leads,” Bryant adds. In addition to associations, nearly any training opportunity offers the chance to spend time with industry colleagues and find new mentors and contacts. “As biomeds, we are in a unique position to constantly attend trainings for specific equipment in our hospitals. The relationships I have started and formed at these schools is one of my greatest tools. The technicians that attend these schools are in the trenches with you and are great support for problems you have never seen before,” Haschke says. She says that she hasn’t been to a school yet that contact info hasn’t been shared for future troubleshooting help and sometimes moral support. “These friendships and networking assets have also provided me with a knowledge base for many platforms other than what we are currently attending training for. At the lunch table, you tend to compare horror stories of equipment types and models to stay away from and inadvertently learn from senior and more experienced techs. As a young female when I started in this career path, some of the greatest advice I received came from seasoned techs from all over the country,” Haschke adds. The bottom line with any networking opportunity is adding contacts to your list and making useful connections. “In general, it pays to build relationships with everyone you can within the medical device industry. While some OEMs and HTM may not always see eye to eye on service strategies, the field engineers that they employ often bounce back and forth between the two arenas, and I have found that maintaining positive relationships with them is always a good idea,” Harris says. Haschke says that as far as which method works the best, she believes it depends on the individual and the ability to recognize opportunities when they present themselves. “Whether its conferences, expos, trainings, or social media, it’s the getting out there that is important. Why limit yourself to just one platform,” Haschke says. While making human connections offers career growth opportunities on the human side, learning the skills to connect medical devices also has benefits. “Most of my data/networking skills have been learned via on-the-job training. Nothing is quite as affective as trial by fire. When and where I started my career; not much emphasis was put on networking. Knowing what I do now, I encourage our new technicians to see and do as much as possible with networking,” Haschke says. Bryant agrees and adds that certifications are becoming a prerequisite for the field. “All HTM professionals need A+ and NET+ to be able to interact with the IT groups and speak at their level in order to get the needed connectivity issues resolved. I do it on a weekly basis. The ways to get the certifications are varied, but I recently learned about the Onward2Opportunity program for military and veterans that provides certification training at no cost – pretty sweet,” Bryant says. “So, there is a nod to that program and a way to share a bit of insight,” Bryant adds. The additional credentials may not be called for in all situations. “Network certifications can definitely bolster someone’s resume and help them be more effective when it comes to integrating medical equipment with the hospital network, but unless you, as the HTM technician, are expected to design or structure the network for medical device integration, those certifications are not essential for HTM professionals to be successful,” Harris says. He says that there are numerous online networking courses that can be taken to educate us on the basics if that knowledge is lacking. “I have learned quite a bit from within the IT group at my facility as it pays to ‘network’ with them too. HTM and IT continue to work closer each year as more equipment is added to the network, and they have a responsibility, just as we do, to make sure that integration is done properly,” Harris says. He says that for HTM professionals, one of our biggest responsibilities is to document the network settings and information in our CMMS for each integrated device and understand the purpose behind the information we are documenting. “It is also our responsibility to keep IT in the loop throughout the medical equipment installation process when network integration is expected. They should handle the in-depth networking design and layout, and we need to know how the device’s network settings are configured for future troubleshooting and situations where those settings need to be adjusted or copied to another device,” Harris says. “I am not discounting the benefits of network certifications, and anybody who thinks that will help to advance their HTM career should go for it. 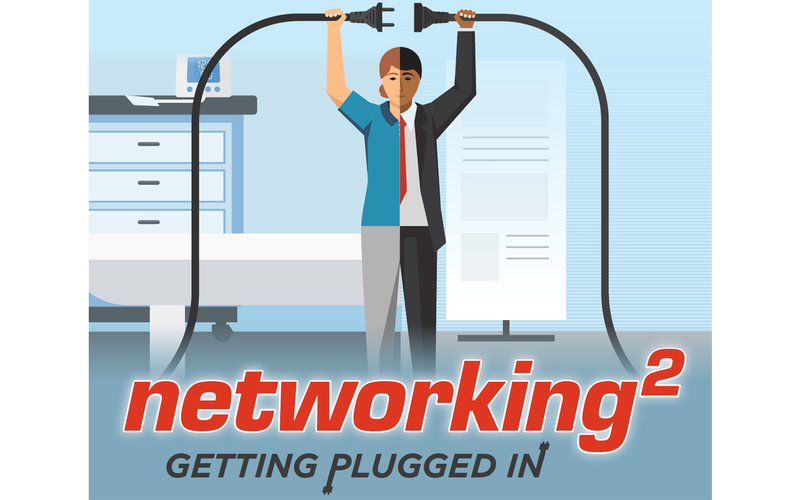 I simply think that basic networking courses can likely provide most HTM professionals with the amount of knowledge required to be successful in the future of networked medical equipment,” Harris adds. In the end, it is a new day in HTM and networking knowledge, in any form, is a value-added proposition. Add to that social networking skills and the sky is the limit for motivated biomeds.